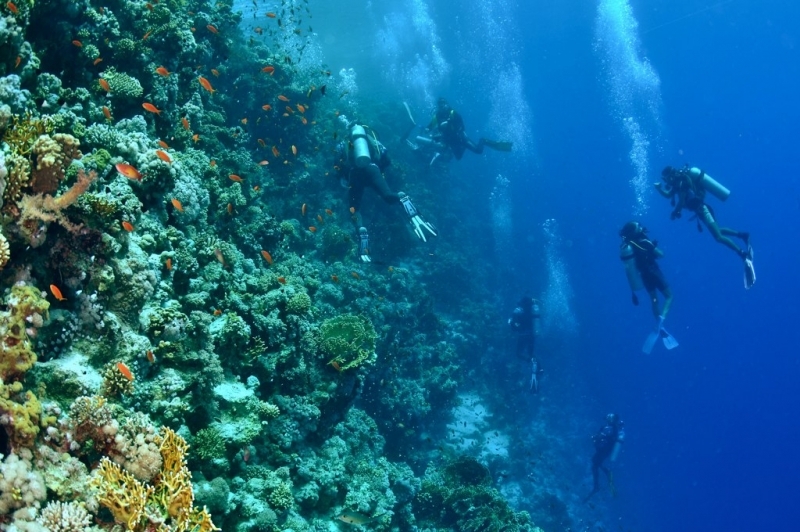 For many thousands of its happy visitors, the area is known simply as “Sharm”, but it’s actually a collection of attractions with differing personalities. The town’s name first appears on maps as long ago as the eighteenth century, but, until two centuries later, it was a small fishing village which few people knew. For language students (and people who like to win quiz nights) you might like to know that in Arabic the word sharm means “bay” and el sheikh means a wise old man. It is now a hugely popular year-round resort which is hot and sunny in the summer, but still warm and very pleasant when European winters can be very depressing! The great thing is that, whatever you’re looking for on holiday, you’ll find it here; whether it’s the natural wonders of land and sea, sun and relaxation, or night-life with the energy of the world’s best! 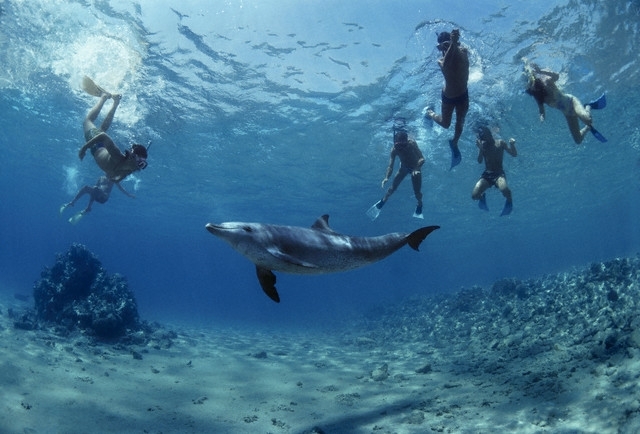 The area consists of downtown Sharm el-Maya, busy Na’ama Bay and Sharks’ Bay further up the coast. 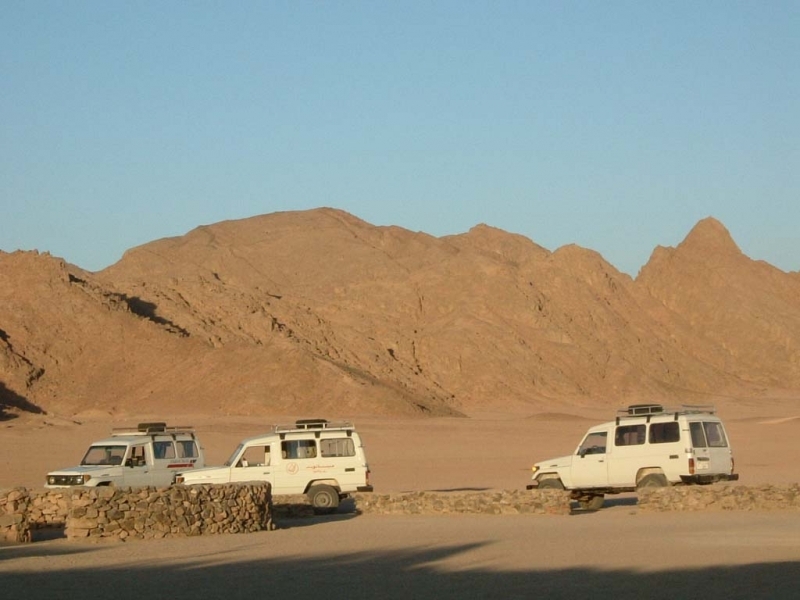 S harm el-Sheikh is the most popular resort in South Sinai and aperfect base from which to explore the region’s stunning coastline and rugged interior. 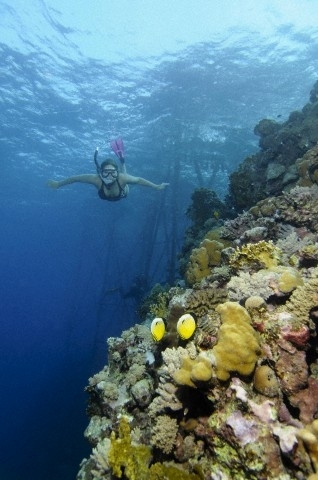 You can dive, snorkel or simply paddle in the waters of the Red Sea at Ras Um Sid, Turtle Bay and the Strait of Tiran. 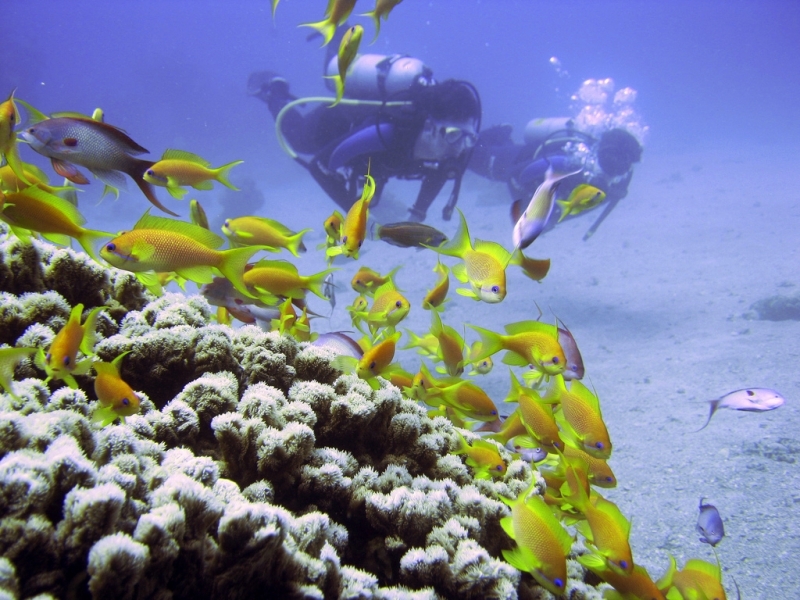 It is the superb diving which has given the waters around here their worldwide reputation, and it is frequently voted as the best diving site in the world by the experts who know these things. 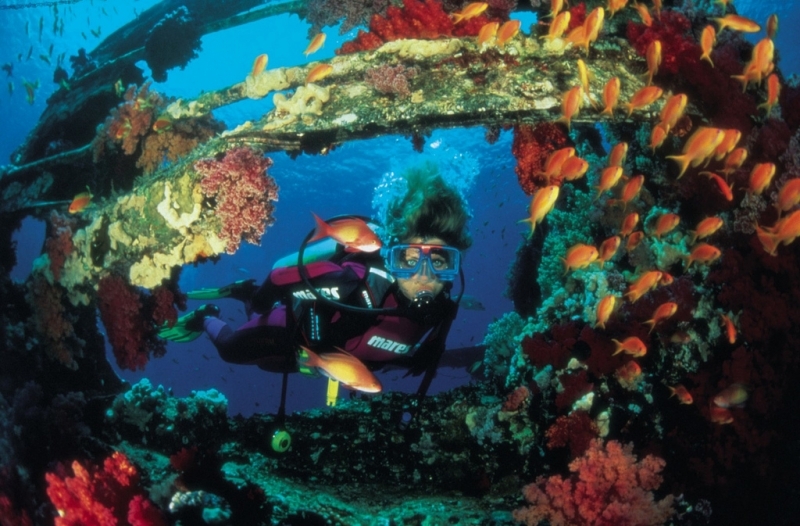 Because of this, the range and quality of dive sites, boats and professional instructors are superb. 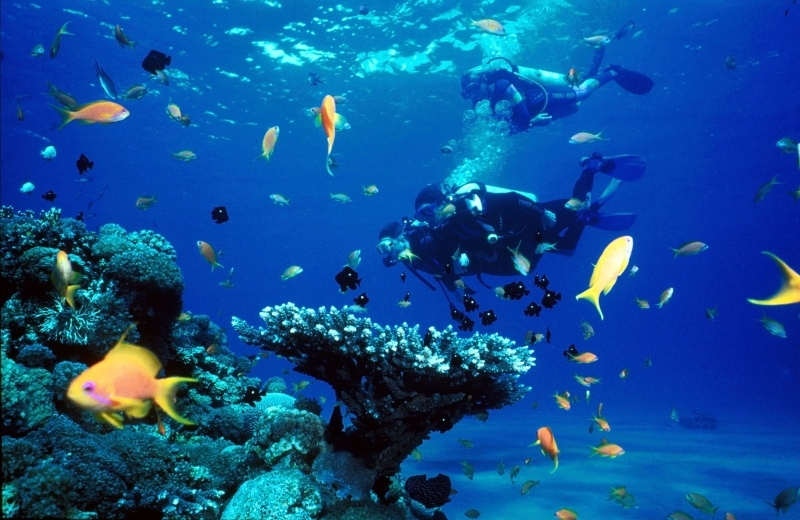 Even if you have never tried it before, take the plunge (so to speak) and try snorkelling or scuba diving – you’ll be in very safe hands and, like many people, may find a hobby which lasts a life-time. 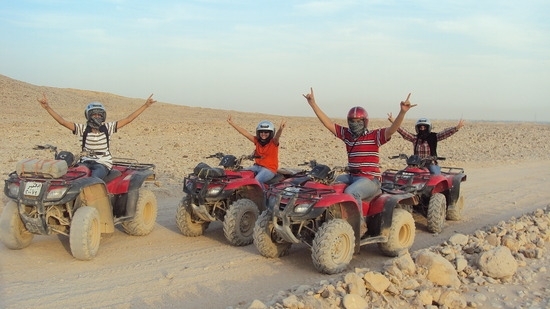 Take a camel trek into the desert to visit Bedouin villages, mystical oases and the mangrove forests of Nabq. 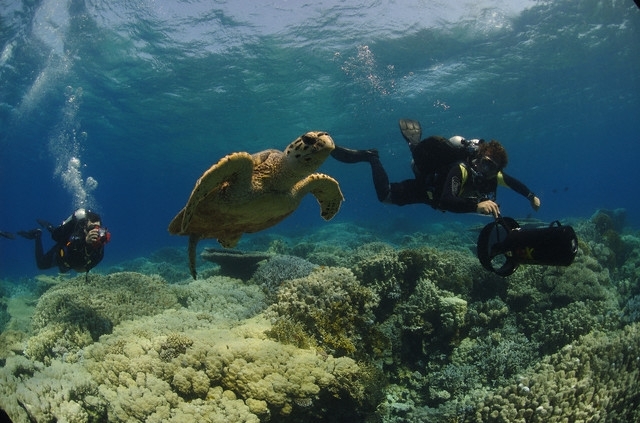 Or stay in Sharm, sample world-class international cuisine at one of the restaurants on the beach and dance the night away at the resort’s discos and nightclubs. Above all, it’s the value for money which attracts millions of happy visitors. 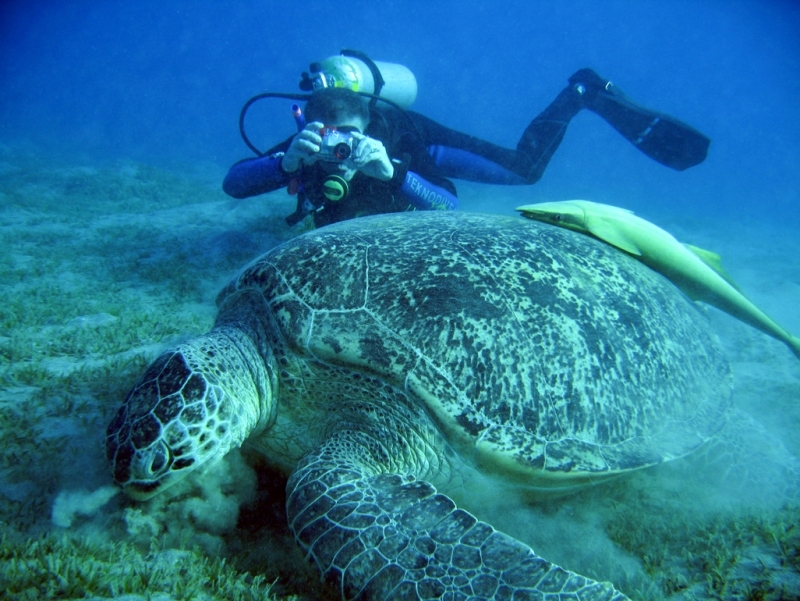 The nightlife in Na’ama Bay is rightly famous, and is mainly located in the busy shopping and market area. There’s a great mix of traditional and modern – proper traditional coffee shops and stalls sit happily by newcomers like Starbucks, Hard Rock Café, and McDonalds. There’s a big choice for the clubbers, and Sharm won serious credibility in their eyes with the arrival of the famous Pacha venue. Don’t feel as though being over 20 stops you from being a clubber though! The morning after your big night out may well see you waking up over a leisurely breakfast before heading off to some real enjoyment in the fresh air of Sinai. 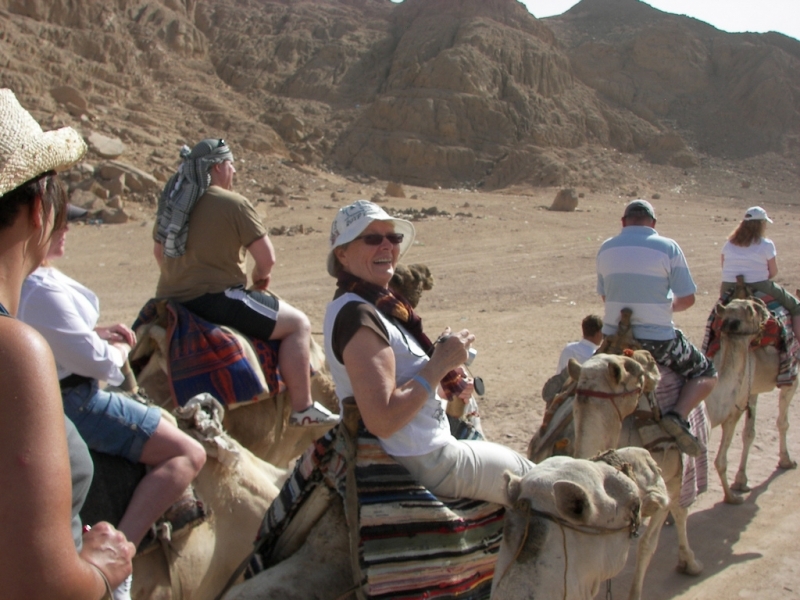 Take the chance to see the country the natural way on the back of a horse – or a camel. This is much more than a tourist photo opportunity – skilled and knowledgeable trek leaders will lead you into beautiful places which seem a thousand miles (and years) away from the bustling hotels and nightlife. 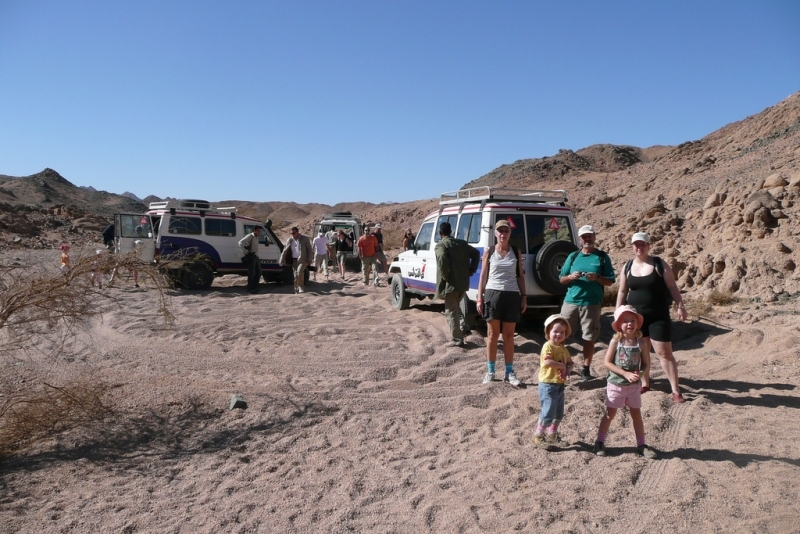 One very popular trip is a Jeep Safari to the Coloured Canyon. Whether it’s for the naked eye, or your still or video camera, there are some beautiful sights and colours here. 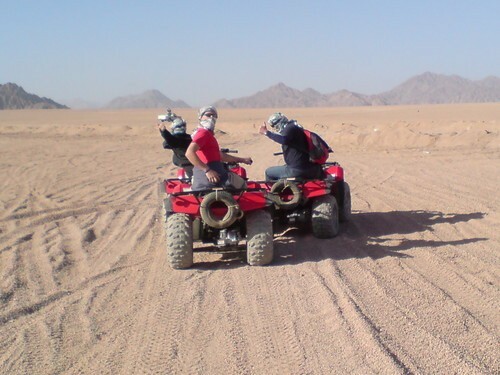 You’ll travel through unforgettable desert scenery and steep-sided valleys of granite and sandstone. Time, wind, sun and geological shift have produced some quite surreal colours and patterns which leave quite an impression.